Now, she had no idea how much I love hand carved spoons. 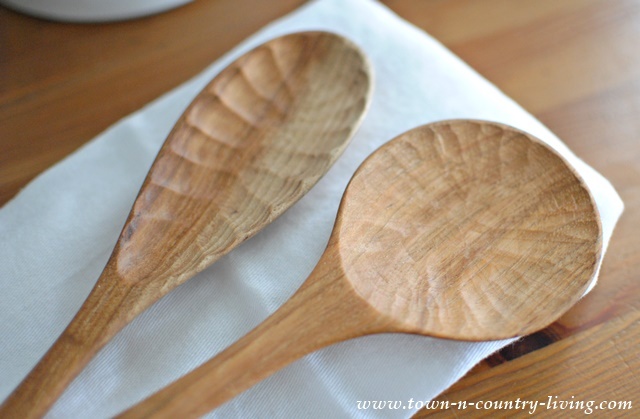 I’ve never blogged about it, but I’ve been admiring wooden spoons for years. The top one is an Italian serving spoon and I love it! I love the feel of a smooth, carved wooden spoon in my hand while stirring a bowl of cake batter or whipping up a bit of roux for a wonderful bechamel sauce. These unique handcrafted wooden spoons come in a variety of wood choices, and I’m excited to say that Polder’s Old World Market is offering a giveaway for $350 worth of your choice of hand carved chef’s artisan tools. Use the rafflecopter form at the end of this post to enter. Look at the gorgeous details of this summer canning spoon. Chiseled scallops add intricate detail to spoons crafted from fallen trees on the family’s property. The Polder’s story of their craft is inspiring and amazing. Have you ever heard of a spurtle? This one’s crafted from hickory wood. The spurtle is a Scottish kitchen utensil dating from the 15th century and was first used to flip hot cakes, and later used for stirring porridge. I love the striations throughout these beautiful wooden pieces and I think the spurtle is my favorite piece. It’s slightly curved end is perfect for flipping raspberry stuffed French toast. I’ll share the recipe with you soon. It’s one of my favorite breakfast meals. 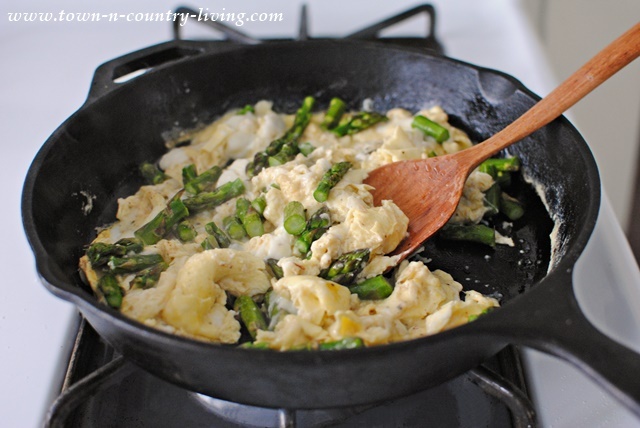 … Scrambling eggs in an iron skillet for a farmhouse breakfast! 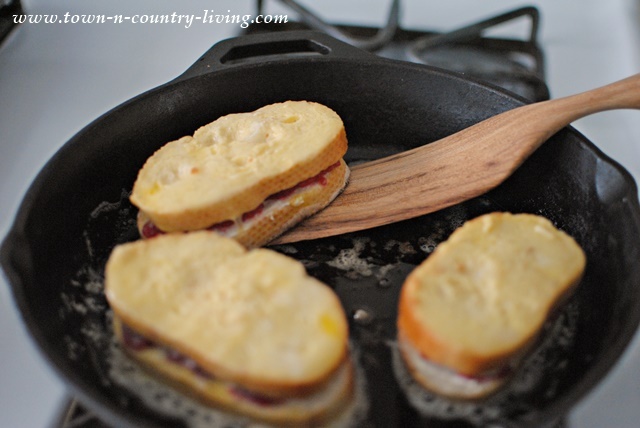 The cool wooden spoon slides perfectly against the iron of a hot griddle. And the World’s Best Cookie Spatula is perfect for serving smaller foods, too. Wouldn’t you love to win $350 worth of these gorgeous kitchen utensils? Use the rafflecopter form below to enter. You can do just one of the entries, or perform all 7 of them for extra chances to win. The contest is open through February 25th with the winner announced on February 27th, which is my birthday! Because when I received my artisan set, I felt like it was my birthday. A very special thanks to Loran at Polder’s Old World Market for introducing me to these beautiful pieces that I love using in my farmhouse kitchen. This is just the beginning of my wooden utensils collection. 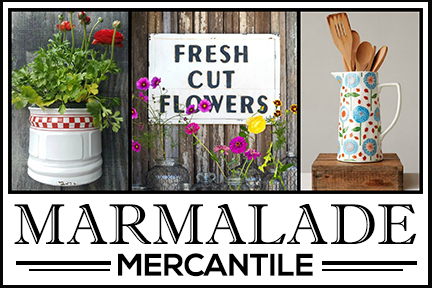 Hop on over to Polder’s Old World Market and let me know which pieces you’d choose if you win. Love love love. The spoons are amazing, still, the spatula makes my heart sing. As much as I love the entire line, my Hubby is the King of the Kitchen. Oh how I would LOVE to surprise him with these wooden lovelies. Pinning to my Pinterest Board! I too LOVE wooden tools of art , call them art because they are !!! So beautiful , and we have a rule in my house about using them , if you don’t wash by hand and oil ( once in awhile ) don’t use them. Ha ha , I like them to look new always , and I actually display them in a pretty jar next to my stove. What a beautiful collection, some I have never seen before. Love !!!! Ooooo! These are gorgeous! I love wooden spoons but never saw a spurtle…I think I need one today! Thanks for the chance to win these beauties! These are so,pretty and would be a delight to,cook with! Thanks for the give away! These are fantastic, how can you ever decide what you like best. Would love a set in my ironstone pitcher! Ultimate dreamware set! Been eyeing them for over a month! These utensils are beautiful. 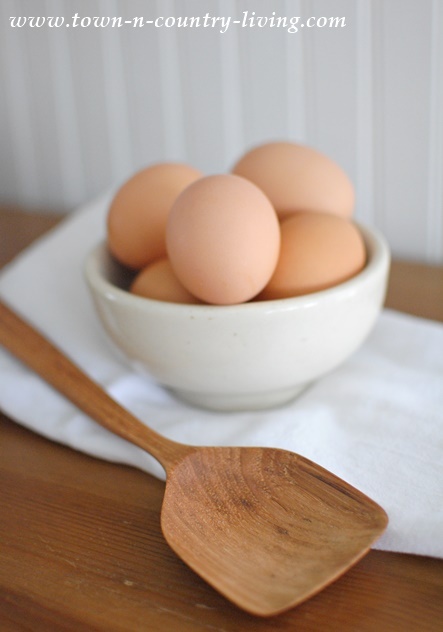 There’s nothing better than the feel of a wooden spoon in your hand when making a favorite recipe. I own a spurtle, although I never knew it’s name until today. It belonged to a long gone favorite aunt. Knowing it’s name and the history associated with it makes me love and appreciate it even more. Thanks for sharing! Thank you for introducing us to this family business. I love wooden utensils and think these would make great Christmas gifts. The kind of product my kids probably wouldn’t think to buy for themselves but will love once they use it. Love their story too. These spoons are wonderful! I would pick the large soup ladle, and the canning spoon if I won. Thanks for the chance to win. These wooden utensils are just beautiful. Oh, lucky you! Would love to experience the difference in using these. I’ll have to check out their site. Thank you for the cooking utensil 101 this morning. 🙂 Spurtle…hmmmm…Love that big cookie spatula too. How cool! 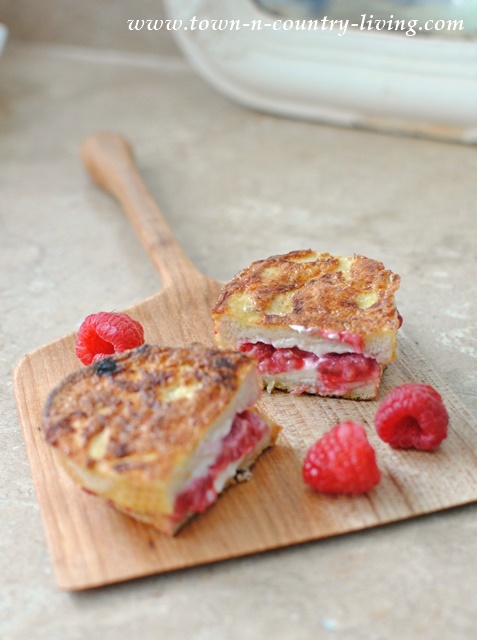 Your raspberry stuffed French toast looked yummy. Mouth watering, actually. Where can I find the recipe? 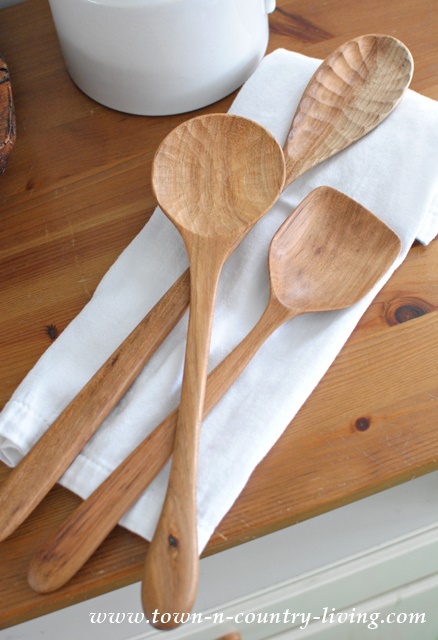 Love these gorgeous wooden utensils…I have always loved wooden spoons and display them in a champagne bucket on my stove! I would love to win..the scoops are so pretty…all of their pieces are beautiful….thanks for the chance! These handcrafted spoons are so gorgeous! How to pick just a few? The Roux-the Farmer’s Wife-The Serving Spoons-everything is just so beautiful…. Thanks for hosting such a lovely giveaway. Those spoons look awesome love the cookie paddle! How beautiful are the cooking utensils from Polder”s Old World Market , I love the Ultimate baker set with the spurtle, cooking spoon, cookie spatula and the spatula, so pretty and very useful. At one point in my life, when I had access to walnut, I had toyed with the idea of making wooden utensils. But alas, I doubt that I could have achieved something that resembled a spoon! I do love them and will always keep making them in the back of my mind. What wonderful and beautiful items. I like the large wooden spoon ladle in particular. I love the soup serving spoon, the spurtle, the roux spoon and the Italian Villa spoon. I would want to win and purchase the Italian villa spoon, the cookie spatula (shown here, but didn’t see it on the website) and the small spoons (E and I). As a fellow wood worker, I can appreciate the wood they use and the detail work – especially in the bowl area. I love the summer canning spoon. All of them are beautiful and I would love to win any of them. Thank you for the giveaway. I had no idea how many choices there are and just how beautiful they are!! Oh, what I wouldn’t give for those beauties! I love love all these spoons. The roux and the spirtle are my choices. Thanks for the give a way. Nothing like beautiful kitchen utensils. Love, love all these wooden goodies. There is nothing like the feel of a good wooden spoon and I love cooking with them. Wish I had the extra funds right now because I would definitely be buying a few of my favorites; summer canning spoon, farmer’s wife spoon, italian serving spoon, small roux spoon, all purpose spoon and I the the ultimate spatula set. Thanks for the opportunity to win. These spoons are beautiful and of course I want them all! But if I had to start somewhere, I would start with the spurtles and the World’s Best Cookie spatula. Now that I’m using cast iron, these would be so useful! These spoons are true works of art. Each and everyone of them is so special it is hard to pick a favorite. If hard pressed, the roux, the spurtle and the soup ladle would be in a three way tie. 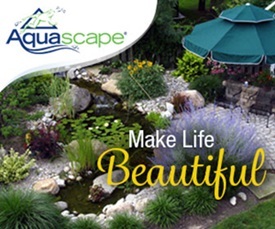 Thank you for introducing us to this company and for sponsoring the giveaway. These are stunning…I especially love the spurtle! What a great utensil and how fun to have a piece of art to cook with. Thanks for the opportunity. Their products are lovely and you have photographed them so beautifully Jennifer! 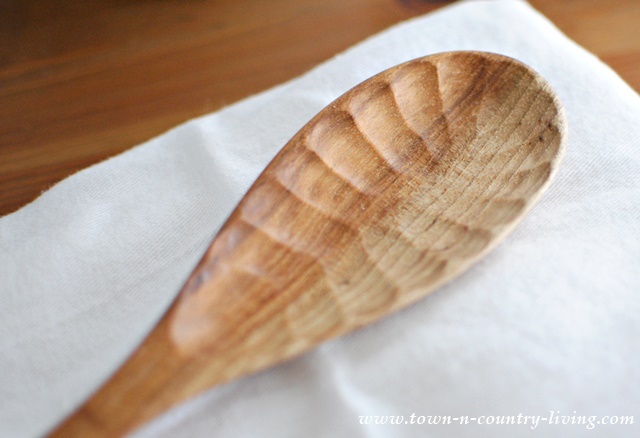 I never thought that I would ever call a wooden spoon gorgeous…until now!! Such craftsmanship…I love them! I really like the Italian villa serving spoon, the all purpose wooden spoon and the exquisite coffee scoop<~~what a beauty! Actually, I didn't see an item that I wouldn't want 🙂 Thanks for this great opportunity! Love the wooden spoons. I have never seen spoons like these, they are very nice. Thanks! I miss having wooden spoons in the kitchen. My wife doesn’t like them for some reason. I would have to insist on keeping these right where I could use them! Thank you for the opportunity to win! Love that Exquisite Coffee Scoop! Everything is so beautiful! I love the wooden measuring spoons! I would LOVE to win, I love anything that is handmade! Right now I have my kitchen filled with pottery and so these spoons would be the perfect addition! These are all exquisite. A great giveaway! Thanks for the chance. I would love a set to use also. The store bought spoons can’t how a candle to those. I like the Ultimate Dreamware Set. I would choose the wooden measuring spoons. They are unique. Beautiful spoons. Each one is unique. Love, love, love these wood handcrafted utinsels!! Thank you for sharing. These spoons are gorgeous! I would choose the Summer Canning Spoon, Farmer’s Wife Spoon, Little Starter Wooden Spoon, Small Roux Spoon, Ultimate Cooking Spoon and Classic Kitchen Spatula. Wow would they ever look fabulous in my utensil caddy. Those spoons are works of art….pure beauty! I would get so much use out of the Spurtle! I would definitely choose the spurtle and the cookie spatula. 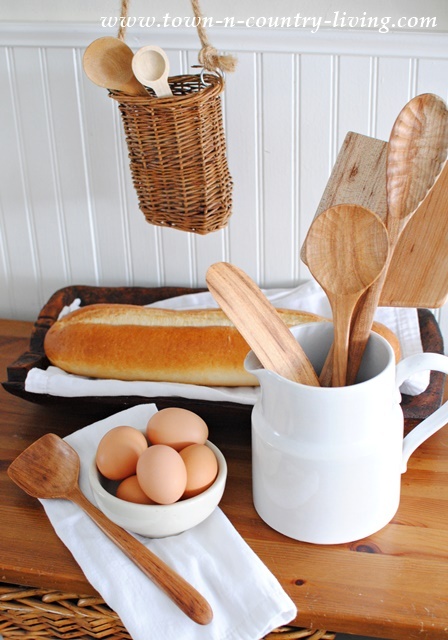 Love these wooden spoons..and all the other cool wooden utensils, too! You’ve inspired me to start my own collection!! I think we would get the ultimate baker’s package to start with. My fiance and I both enjoy baking and this would be a great addition to our kitchen to help out with baking goodies and breads. I love the feel of real wood and have been collecting wooden spoons for years. Even have carved and painted some. In my collection, I have a hand carved flour scoop that has been in my family for 5 generations, coming over from Norway in 1876. I’d sure like one of those spurtle spatulas for my collection! Thanks for this giveaway. LOVE love love these spoons – especially the Italian serving spoon. Adding these to my Mother’s Day wish list! Thanks for the introduction and the inspiration! Drool…Such works of art! Love the Italian serving spoon and the simple coffee scoops! Everything they make is awesome! Thanks for the chances! These are truly beautiful works of art. I immediately fell in love with the exquisite coffee scoop, the miniature wooden spoons and the long elegant scoop. Oh and the southern belle ladle is darling! These are heirloom pieces, just absolutely wonderful. Thanks for the chance to win. Thanks so much for the giveaway! The spoons look beautiful. My husband and I love to cook with wooden spoons! I would love to own the ultimate bakers set and I am sure that my husband would like the ultimate dreamware collection. These pieces are magnificent! I reread your post a few times and couldn’t help but wonder, how long would it take to decide on a favorite? They are all beautiful. I love the miniature wooden spoons, the measuring cups and the world’s best cookie spatula. Thank you for this fabulous giveaway and introducing me to these amazing artisan creations! I hope you are doing something fabulous for your birthday on the 27th! I would LOVE LOVE to have the stock pot companion spoon. So, that is the first on my list but honestly, love everything. Everything is beautiful, but I love the italian villa serving spoon. These are so pretty. Thanks for the give away! Love wooden spoons, these look very nice. I love cooking with wooden utensils, what a wonderful company! I love the original spurtle and spatula they would certain be on my list. Thanks for such a great giveaway! These are really neat! It is like the utensils have a story to tell! I love the coffee scoops and the spurtles, the classic ladle is beautiful. My wooden spoons are a must when cooking or baking. I would love to have a set of these to cook and bake with. Thanks for a chance to win these. WOW!!! 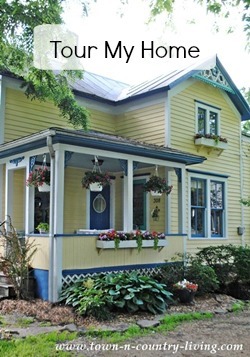 I just found your blog through Hometalk and I am more than thrilled. Also thrilled it isn’t too late to enter this give-away! I am in the midst of a long range move and will start again with things I love. :))) Your blog will be one of these wonderful things. Thanks so much for the give-away as well as blogging such beautiful creations!! These spoons are wonderful. My daughter is an amazing cook and I know she would love them. Going to share the site with her! Cute! I can’t imagine how long they take to make! All of their items are like works of art. I started following them on instagram a few weeks ago and have been loving their photos. I’d be proud to own any of their creations, but the long elegant scoop is my favorite. Love the form of these utensils! These are soooo gorgeous. Works of art. I would love a set of these in my kitchen, but I don’t think I could ever bring myself to actually use them. They’re just too beautiful. Thanks for the eye candy!! 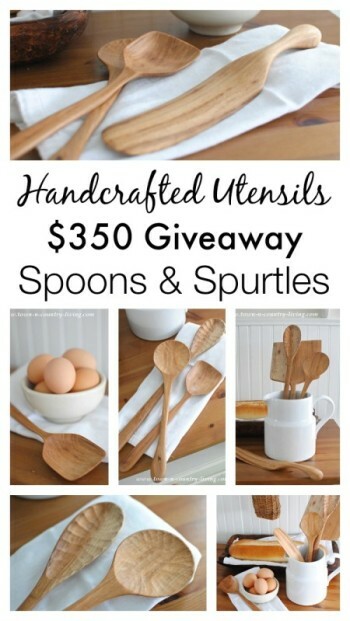 I would love to bake with the chef’s wooden scoop,wood measuring cups & the wood measuring spoons if I won. What a difference it would be just knowing that you are using them!!! 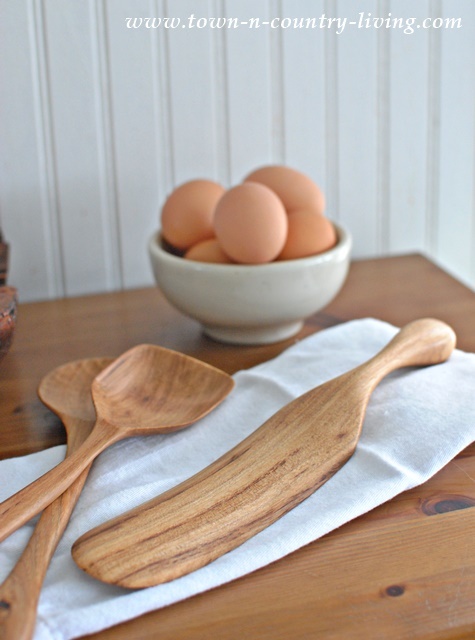 Their wood measuring spoons would make such a lovely gift! I recently discovered these beauties through an Instagram photo, and immediately loved them. I would love to have the Scottish spurtle collection, the farmer’s wife spoon, a coffee scoop, and a measuring spoon set. Whomever wins these will enjoy, I am sure! Wow, which piece WOULDN’T I choose?! I think initially I would have to go for the Wood Measuring Spoons, just as I would use them SO often, as I love to bake. I also love the Little Starter Wooden Spoon. Can’t go wrong with that. So lovely, all of them really. It would be so difficult which items to choose, but I would definitely choose a set. Either the Gourmet Kitchen Collection, Ultimate Bakers Package or the Ultimate Dreamware Collection. I would also make sure to include a Spurtle set, as I have been wanting those for some time now! This is a wonderful family company! SO nice to deal with, and such quality made items that you cannot get anywhere else! Such kind, fast replies and amazing talented products. I have a couple of their spoons and would love to add some more to our new home! The quality is superior to that of any other! Would be thrilled to win! Thanks! I’m absolutely obsessed with Polders. They’re pieces are just gorgeous. I would use this credit for one of their beautiful ladles! I adore this company! Dying for some wooden scoops! Just ordered one of their simple spatula and a one of a kind scoops, need to add more to the collection! Have to get one of their sets just to have one of everything! I found your site on Pinterest today. Now I’m following you on Pinterest and Bloglovin and also getting the newsletter from the people that make the glorious wooden spoons. Thanks for the chance to win. I would love the Baking collection and one of each of the spoons. They are one of my favorite etsy shops and Instagram accounts to follow. Gorgeous spoons! My mother always used wooden spoons…I would love to have a selection of them. These spoons are beautiful! Would love to own them! I live in Missouri and Silver Dollar City in Branson is a bit of a trek to buy hand made wooden spoons, but I have one lovely spoon from there. 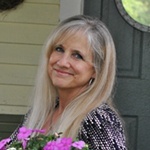 I still love your blog and read it every day!!!! Thanks so much for introducing me to this company! I have always had a “thing” for handcrafted wooden spoons and these are truly works of art! I would love one of everything but if I had to choose just one item, it would be the coffee spoon, an object that I would use and love to touch every day! My goodness this store has some of the most beautiful woodwork ever!!! I would choose the ultimate dreamware collection. It has a bit of everything!!! The long elegant scoop is beautiful! Fabulous spoons & utensils…especially fond of the miniature spoons, the coffee scoop and the Italian serving spoon. I love their utensils as well! So gorgeous. Recently discovered Polder’s beautiful utensils and recently bought a coffee scoop. I would love to add a chef board or a cookie spatula to my kitchen as well as replacing some of my old wooden spoons with Polder’s!! Oh I’m so in love with these! Amazing giveaway! Started my collection along with my daughter and daughter in laws collection this last Christmas. We love them and will be adding more along the way. Awesome giveaway! Oh I just love all of them. I need a spatula and some nice spoons and ladles. Furthermore, I just love the Polder family. I do not know them personally, but follow them on FB and such. They are so down to earth and warm and friendly people. Good luck all…. I will have a difficult time choosing! Beautiful! I love the Farmer’s Wife Spoon and the Summer Canning Spoon! I need the giant cookie spatula in my life. And a spurtle. And a farmer’s wife spoon. The ultimate baker’s package would be a dream to own! I would love the coffee scoops, too. I really want a spurtle! Gorgeous, gorgeous utensils! Thank you for this remarkable giveaway! I think I just spent 45 minutes on their website trying to decide what I would choose if I won. 🙂 So hard to choose! I think I need the Scottish Spurtle Set, although I’d never heard of a spurtle before, little starter wooden spoon, farmer’s wife spoon, small roux spoon, classic kitchen spatula…I should be able to find plenty of things! Thanks again for the introduction to this company and their beautiful wares. I would love the miniature spoons, the exquisite coffee scoop, the village coffee scoop, the measuring spoons and cups, or the soup ladle. And/or anything else Polder’s makes! I love the Simple Coffee Scoop and the Measuring Cup Set. So beautiful! Oh my! They are all beautiful! I can only imagine how nice they’d feel to use. I’d definitely want a spurtle and several nice wooden spoons. Mmm…will have to go back and dream some more! I love all of these beautiful handcrafted spoons! They are almost too pretty to use. I think I would love to have the spatula most. My favorite is the roux spoon, perfect for starting a spicy gumbo! Great to see these spoons/utensils that are made by hand! I’m in love with their cookie spatulas and am curious about the spurtle. The spoons are beautiful. Love your blog. I would pick their wooden spoons including the miniatures and the chef’s board is nice. Wen ever I use something as special as these spoons , I am so inspired in the kitchen. Would love any or all of these. Sauces, pastries, the perfect risotto or ? something yummylicious. I’d absolutely love a set of their wooden measuring cups and measuring spoons! I love the wooden spoons! Thayer are so wide and would be nice to cook with! Oh for sure I’d love the wooden measuring cups and a spurtle and…. oh I can’t decide right now….. fingers crossed! I love everything! I have to say, my favorites are the spurtles, measuring cups and spoons. These are such beautiful utensils. I had never heard of a spurtle. Off I go to check out their website to see all their products and start a wish list! Gosh, hard to pick just one thing but i’m in love with the measuring cups and the original wooden salad set. All the interesting woods are so beautiful. And so nice to have found your blog! I love the best all-purpose spoon and the spurtles! I own a piece already, but can’t afford the rest that I would love to have. I would love to have one of their large cookie spatulas or a classic spurtle. Happy Birthday! I hope you have a fantastic day. 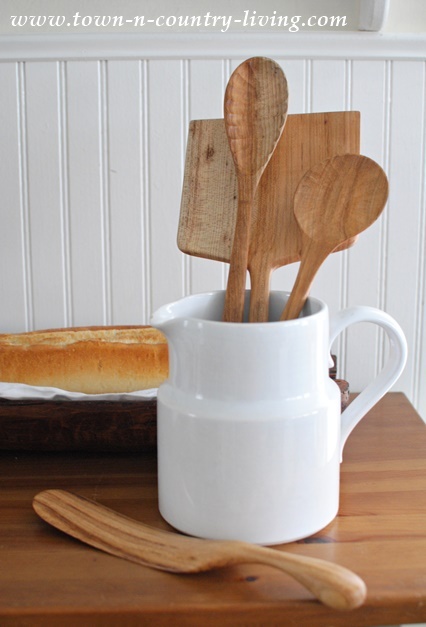 I’d love to get the ultimate baker’s package – wooden kitchen utensil set. I have admired Polder’s utensils for a long time but I don’t have any in my kitchen! I’d love to have a spurtle! These are beautiful! I love wood utensils. I would love the flat spatula spurtle!